Laurent Robert | NUFC Blog. Archive for category: Laurent Robert. Hope he lhas a face like this after the game! Manchester United make their seasonal pilgrimage to St James’ Park in what could be viewed, for them anyway, as a tough game – particularly as they seem to be in relative disarray. Wayne Rooney and a couple of the club’s lesser lights (Darron Gibson and Johnny Evans) allegedly went out for a meal and a few drinkies on Boxing Night. This wasn’t against any of the Manchester club’s rules. However, they subsequently committed the crime of looking decidedly shabby and putting in a poor performance in training. 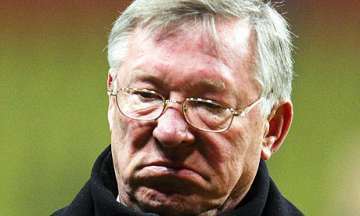 As a result manager Alex Ferguson threw a strop and dropped them for the home game against Blackburn Rovers. ‘Ol Red Nose was rewarded for his tantrum on his 70th birthday by a defeat from the second-bottom club. Magpies modern classics – Arsenal 1-3 Newcastle. Episode three of my series of modern memories takes us on a trip to the capital city and to Highbury, the former home of Arsenal. We had a shocking record of playing in London at the time and hadn’t won in the previous thirty visits to the capital, something that was to change that evening.